Breath of Fire 6 is still stirring at Capcom with a lot of fans cautious about their excitement. The PC and mobile platforms, not to forget the art design, combat, and entire project, have turned off a lot of longtime fans who wanted a more traditional entry in the series. Delays have pushed the game way beyond its original launch date, and Capcom has confirmed once again that it will be launching in 2016. After seeing the gameplay footage and direction the art has taken, I'm not so sure it's enough to please the fans. Ryu will also be returning as your character's big brother, but even with the classic protagonist, it's just not the same. However, I can understand Capcom's situation, too. The problem with the older Breath of Fire games is that they are about as standard as they come with the JRPG genre. None of them push any boundaries or bring anything new to table. The interesting setting and the anthropomorphic themes are all this series really has going for it. That's not a total excuse, because Capcom could have found a way to make Breath of Fire unique these days. I said that the Monster Hunter Stories engine could have made a fabulous Breath of Fire game on the Nintendo 3DS, but that's a lot of money spent on a series that isn't popular anymore. A mobile game of this nature is a much less risky investment, and it's probably the only way Breath of Fire could exist in this day and age. Capcom doesn't have the same funding to revive its classic and obscure franchises like Square Enix does. 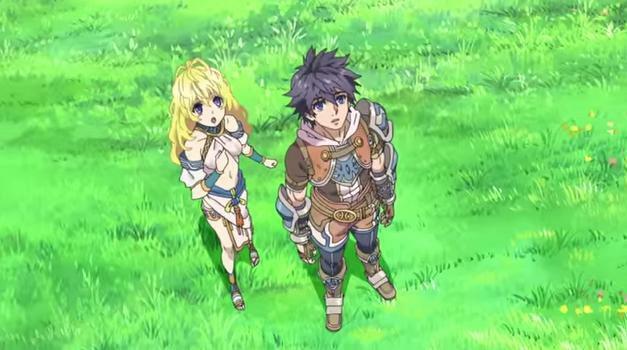 Breath of Fire 6 will be released for PC and smartphones in Japan in 2016. No word on an English version yet.